Thursday, November 8, 2018 Old School RuneScape on mobile became the #1 app in 8 countries in its first 24 hours and drove 1m+ installs. Old School RuneScape debut on mobile devices last week saw Jagex’s storied MMO simultaneously claim the number one position iOS App Store position in eight countries in its first 24 hours. In addition to ranking #1 in the US, Canada, Australia, Netherlands, and key Nordic countries, the game featured as a top ten iOS title in a total of 15 countries. The 30th October launch also drove more than one million Old School RuneScape mobile installs with new players joining the existing one million-plus members already playing on Android, thanks to the Members’ Beta access programme. The influx of players during launch week saw Old School RuneScape hit its highest ever daily average user (DAU) figure in its five-year history. Old School RuneScape has also received a rapturous reception from players and critics alike, with 93% of all App Store reviews awarding the game five stars, providing an App Store average rating of 4.9 out of five in the US. Critics at leading media outlets have similarly praised the game: Touch Arcade called the game “absolutely phenomenal” and Pocket Gamer heralded it as “a brilliant MMO that’s just as good in your pocket as your PC”. Today Old School RuneScape headlined the App Store’s front page and was billed as “A classic that’s more than nostalgia”. 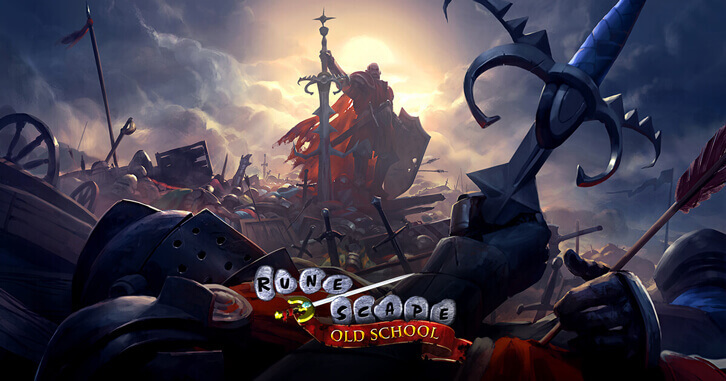 “After five years of successive growth since its PC launch in 2013, the arrival of Old School RuneScape on mobile is a hugely important milestone for Jagex in taking the RuneScape franchise multiformat. Making our living games available to more players on more devices was a priority for us as we set out the third age of Jagex as, over the years, our players have grown up and some, who were PC players, now have alternative format preferences that fit their changed lifestyles. Old School RuneScape’s mobile debut saw it become the first mainstream PC game to transfer its monthly membership1 offering to mobile, joining other successful subscription-based mobile entertainment apps such as Netflix, Spotify, and YouTube Premium on mobile stores. Old School RuneScape is part of the $1 billion RuneScape franchise and is based on the iconic MMORPG as it was in 2007. Featuring adventures for solo play through to 100-player raids and delivering new lands and new adventures that take it far beyond a purely nostalgic vanilla experience, Old School RuneScape’s popularity has continued to grow in its five years as a living game. Old School’s competitive gameplay has made it the #1 MMORPG in competitive gaming thanks to the gripping Deadman tournaments. Streamed live on Twitch, the tournaments, plus all the other Old School streams, has made Old School one of the most-watched titles on the network. Old School RuneScape is the first Jagex’s living games on mobile; the second, RuneScape, is currently in its own Members Beta on Android.